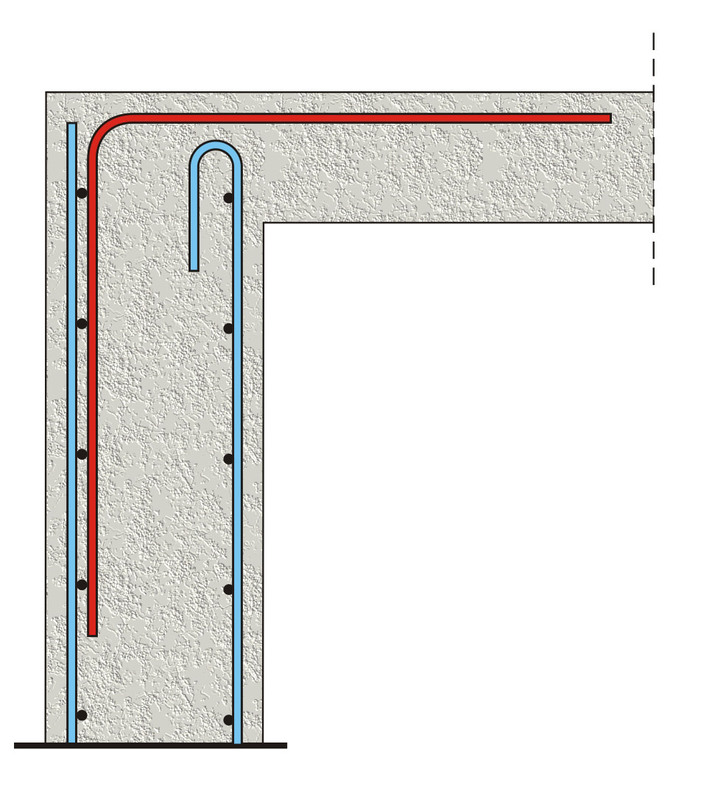 Bars must be anchored at the upper part of shear walls. This anchorage must be done accord-ing to the same rules that apply to the anchorage of column rebars. 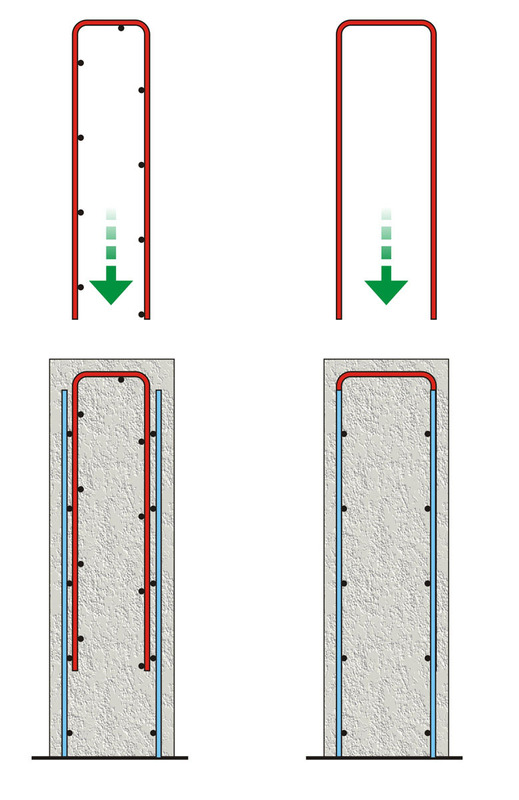 However, as a rule, it is a more simple procedure, due to the smaller diameter of the vertical reinforcement placed inside the wall’s body and also due to the possibility of rebar lapping with a contact lap-splice. Two ba-sic cases are defined, anchorage inside the shear wall’s mass and anchorage inside the adja-cent slabs’ body. The hooks must be formed by a bending machine with the use of the appropriate rolls (see §2.6.3). The angle of the hook might be 135 ° ,however it is preferred to be 180°. 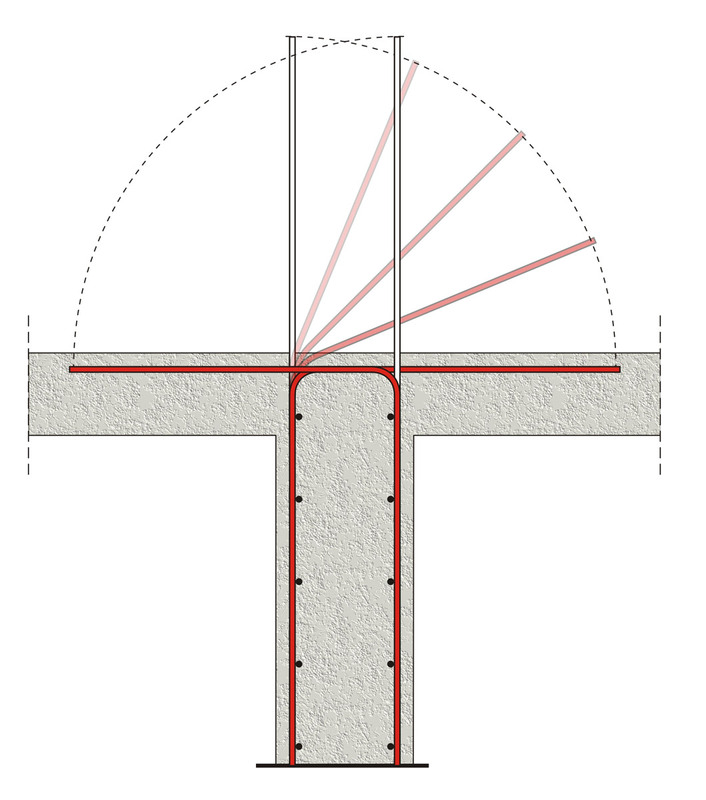 A ‘Π’ shaped bar (figure a) provides, apart from the anchoring, the proper finishing of the shear wall reinforcement. The use of a wire mesh (figure b) has a lot of advantages regarding its implementation however, due to the welded distribution reinforcement, the ‘Π’ shaped bar, must be formed to fit between the two parallel vertical meshes. This type of anchorage is preferred in most cases and especially when the accurate implemen-tation of the wall’s body rebars along the height cannot be easily done e.g. in the case of a basement where the body rebars are implemented together with the foundation reinforcement. 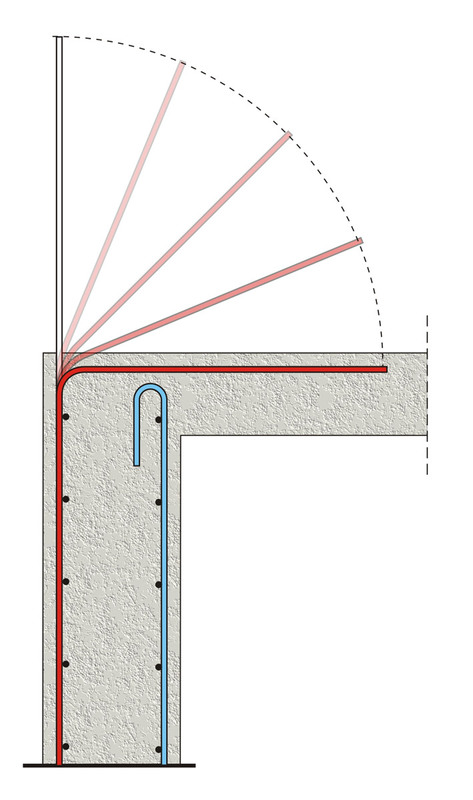 In case the upper part of the shear wall has only one side connected to a slab, the outer vertical rebars, may assist in securing the fixed support of the slab. An alternative solution is to place a ‘Γ’ shaped wire mesh. In case the shear wall has slabs on either side, its rebars can be anchored inside the slabs’ mass and at the same time they can be a part of the required slab support reinforcement. Finally, it is highlighted that apart from the above mentioned solutions there is a wide range of other combinations.